When Robinson Racing commissioned a redesign for the 2018 livery and support vehicles, we were thrilled with the opportunity. When they came back for a mid-season corporate redo, we couldn’t have been more excited to take on the 10-day overhaul! 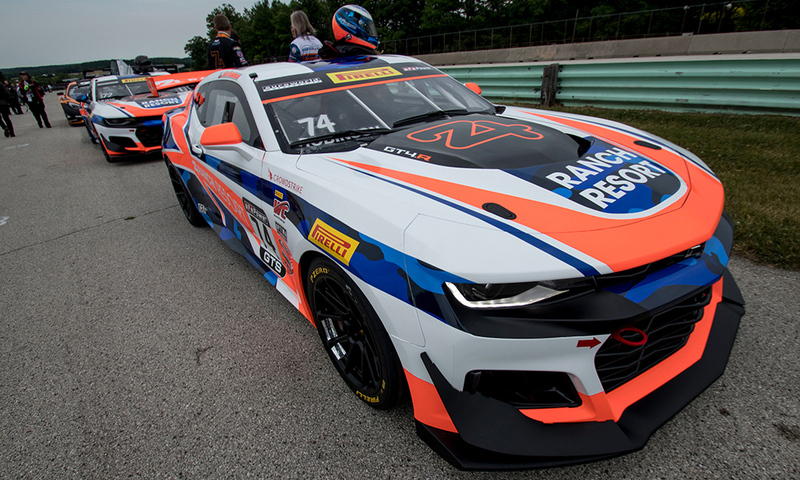 Having spent over 30 years on the track, Robinson Racing teamed up with CG Detroit in 2015 to revamp the overall look for second-generation driver Gar Robinson and #72, teammate Shane Lewis. Fast-forward to 2018 and the switch back to the Chevy Camaro mid-season, and the look is more eye-catching and successful than before. Returning to their roots with GM products, Robinson Racing has once again joined forces with the seasoned mechanics from Roush and Pratt & Miller to form a winning combination both on and off the track. 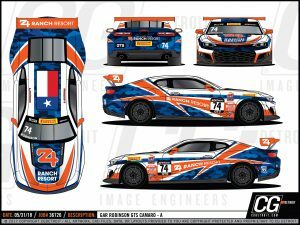 The new livery debuted at Road America at the GTS Sprint Series in June. We’re all anticipating a triumphant second half of the season!